Hi. My name is Colm Campbell. 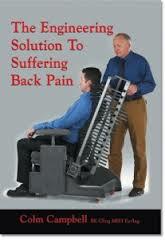 I’d like to talk to you for a couple of minutes about back pain and how to eliminate it. I am a chartered engineer and 36 years ago was taken unconscious to hospital by ambulance with a ruptured disc. I refused an operation, researched the subject. 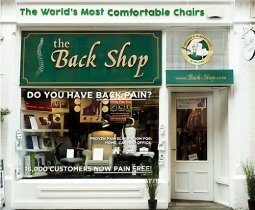 Discovered sitting with bad posture is the main cause of back pain. Designed a custom made support which gave me perfect posture, and within nine weeks was able to drive again, in pain, yes, but bearable pain. I am now completely pain free and would like to help you to be likewise. The Engineering Solution to Suffering Back Pain gives you clear information about how the spine works; how back pain develops, and how to eliminate it fully.